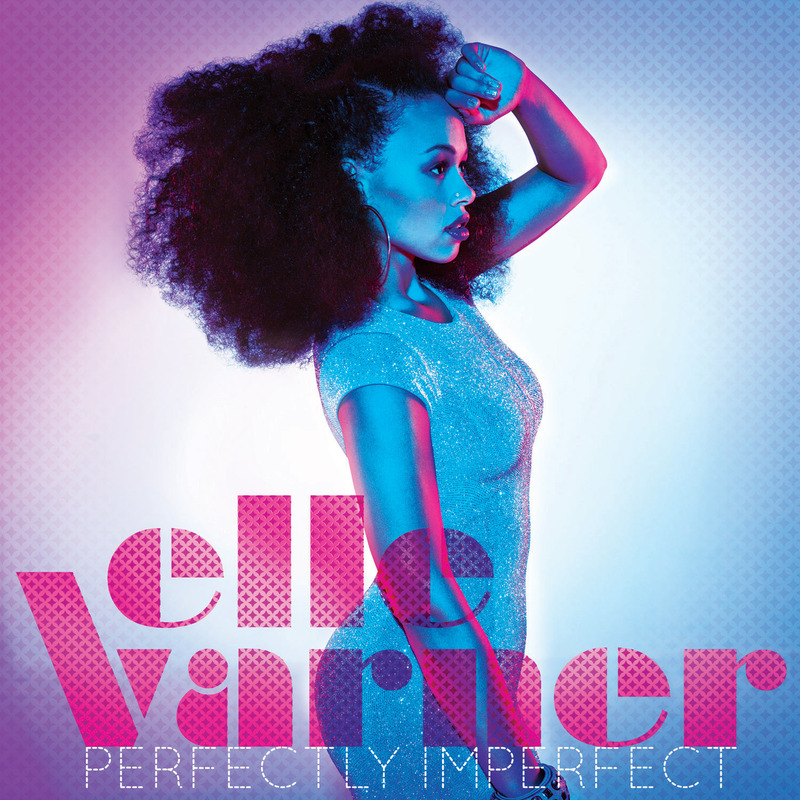 Elle Varner is a star...nuff said. And I TRULY mean that. And if you know me then you KNOW I don't throw that word "star" around lightly. But here's my question...where did this chick come from?!?!?! I heard people talking about her here and there, saw a video from her here and there, I was kinda watching an interview with her here and there but I never really paid attention to her...'til this past weekend. What happened you ask? Well, I had her mixtape (which I actually thought was her album...told ya'll I wasn't up on shorty) on my desktop for what seemed like forever so I finally decided to listen to it. And while I messed with the jawn, I couldn't understand why that song "Refill" that EVERYBODY and their moms keeps telling me about wasn't on there. She's got interludes of it but not the song. Now I'm pissed like "who drops an album and doesn't put their best song on it?" So I get back to the crib and find out out this was only the mixtape and her album hasn't dropped yet...aiight now it makes sense and that's also dope cause now I don't feel like I'm THAT behind on not knowing about shorty. And while the mixtape was aiight (my fave song was "Ev" with her over the I.Z.Z.O. beat...mainly because she sounds better then EVERY female MC walking the planet!) I still gotta get the album cause I GOTTA her this song "Refill" that everyone's spazzing over. So I downloaded the album (don't look at me in that tone of face...I download EVERYTHING first and if it's dope best believe I'll support but over the last 10 years I've wasted $1,000's of dollar supporting artist droppin sub par music and those days are LONG gone) and all I can say after listening to it is..."damn." Elle sets things off lovely with "Only Wanna Give It To You" featuring J.Cole and whether it's the "Nobody Beats the Biz" drums or the ESG sample or the lyrics "you're so classic, I love you more then my Adidias" there's absolutely no way you can't feel this jawn. "Refill" is EASILY one of the best songs I've EVER heard. And 9 times outta 10 when cats hype up a song to me, it NEVER lives up to what my anticipation for the song is. But "Refill" not only lived up to the hype but it actually surpassed what I thought it was gonna be and truth be told I don't know if that's EVER happened. BTW, do I REALLY love a song that has a fiddle in it? I swaer everytime I hear this I'm waiting for Sookie and Jason Stackhouse to come out doing a square dance routine! If you're a freak like me "Sound Proof Room" should be your new anthem while "I Don't Care" samples one of my favorite Kool and the Gang songs "Little Children" (made famous by Buckwild for AZ's "Hoe Happy Jackie.") "Not Tonight" has Elle imagining that "maybe in another life, she could be that girl, who walks up to the guy, and tells him how she feels inside, but not tonight." "Leaf" is probably the dopest song I've ever heard about a shorty holding her man down. And with lyrics like "so when you go into a storm, I will be there/protect you, I will shoot the wave down, I'll come around/surround you with a light I've never shown/I will be there lighter than a leaf in your pocket" I had to call up my wife to tell her good looking for holding me down through the thick and thin of life. Now when's the last time you heard a song and it made you wanna call somebody up to say thanks for having my back? To be honest I can't think of the last time I heard a debut album THIS good and THIS honest. Maybe L. Boogie's "Miseducation..." but I really can't call it. But I do know that this album is flat out amazing. First we can start with the beats. I don't know who the hell Pop Wansel and Oakwud are but these dudes got beats! It's like they give Elle that 2012 hip hop/R&B sound without having her sing over Wu's "Tiumph" like cats had Mary doing a minute ago. And the drums?!?! The drums on this album are some of the hardest drums I've heard in YEARS...and that's including hip hop! While the rest of the R&B world is following those Drake "pitty pat" drums (I call "those" kinda drums pitty pat drums vs. boom bap drums - see when I first started making beats in the mid 90's my dude A Kid Called Roots taught me to make my snares sound like a pimp slappin' his hoe. Nowadays in hip hop & R&B, snares sound like my daughter droppin her legos on the kitchen floor) these dudes are bringing that 90's drums back which is a huge piece of what's been missing from the game for years. And like KRS asked "lyrics, somebody want lyrics?" Elle could easily the best songwriter I've heard since...I don't even know. Yeah, she's THAT dope! And I know cats are thinking "damn Kil, did you produce something on this or is she your side chick or something? Cause you're REALLY biggin her up." And the answer is no...I don't know this chick from nobody and didn't do anything on her album (but would LOVE to work with her) but even more then promoting my own music and the cats on my team, I just LOVE hearing great music and Elle Varner makes really, really, really GREAT music. Like Master Ace said "sleep if you wanna, go head get your shut eye" on Elle if you dare but if you do then you'll be missing out on one of the biggest and brightest stars in R&B's future. (hip hop's too if she ever decides to rhyme) I did tell ya'll in the beginning that this chick was a star right?